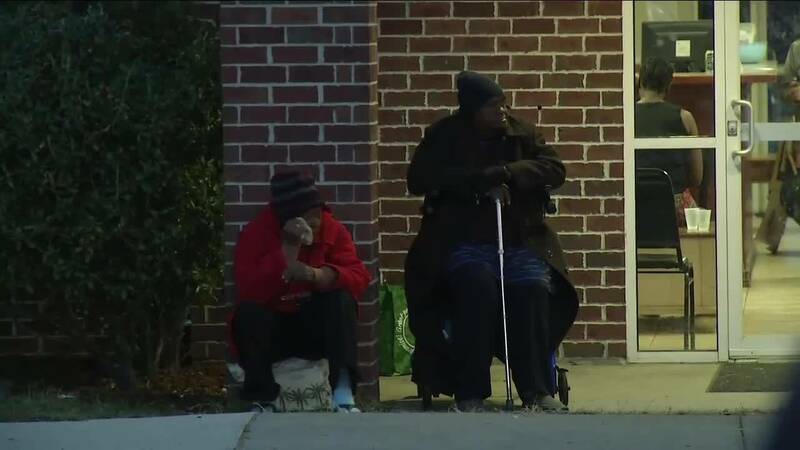 JACKSONVILLE, Fla. - Volunteers are walking the streets in Jacksonville Beach Wednesday morning to see how they can better serve the homeless in our community. It’s part of the “Point-In-Time” Count being done in Duval, Clay and Nassau counties. Each year, Changing Homelessness conducts the annual Point-In-Time Count in January, as mandated by the United States Department of Housing and Urban Development. Over 150 volunteers are expected to participate covering Jacksonville’s Urban Core, the Beaches and Orange Park, including city leaders, elected officials, business leaders, and citizens. Volunteers gathered at the Mission House in Jacksonville Beach around 4:30 a.m. Wednesday to get ready to count and survey the homeless. The Point-In-Time count is a requirement for counties who want money for federal programs to help the homeless. Throughout the day, volunteers will be walking different parts of the community, talking to people who are homeless and learning more about where they stay and who they are. The goal is to better understand what resources they need and how the community can help. “Last year when we did the count, we noticed that there were a growing number of youth who were homeless and when we did our August surge we noticed that number increased by 145%. So we know we need to target resources for that population,” said Monique Elton with Changing Homelessness. In addition to gathering information, volunteers will be handing out bags filled with hygiene products, scarves and other necessities.